The Kuier Pienk Plesier is an event held for 400 Kuier readers. 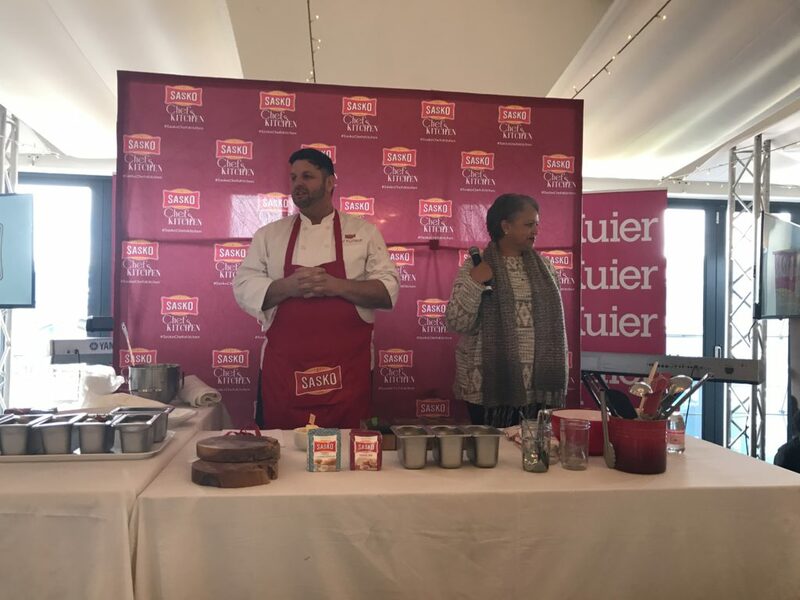 This year the event was held at Kronenburg Estate in Paarl. 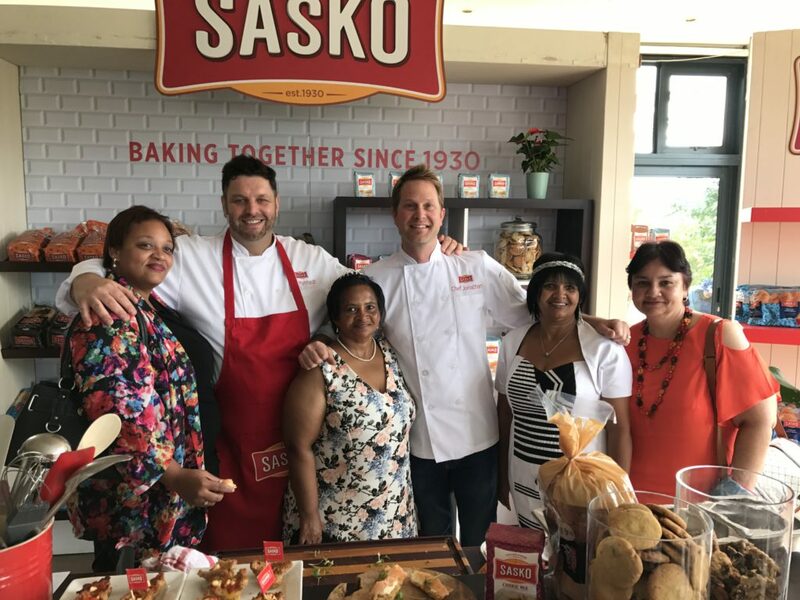 Source Food activated the SASKO stand for the day at this year’s Kuier Pienk Plesier, which involved us sourcing all of the products that are displayed around the stand, and arranging a SASKO demonstration chef, Chef Mynhardt, to show the ladies how to create a delicious Lemon Vanilla eton mess jar with fresh berries, berry cream and SASKO oat chocolate cookie crumble using the SASKO Vanilla Bake Mix and the SASKO Cookie Bake Mix. 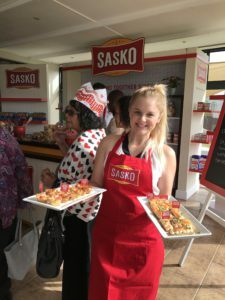 There were waitresses who walked around offering SASKO inspired canapes. Source Food developed the recipes for the canape menu that was served during the course of the day. 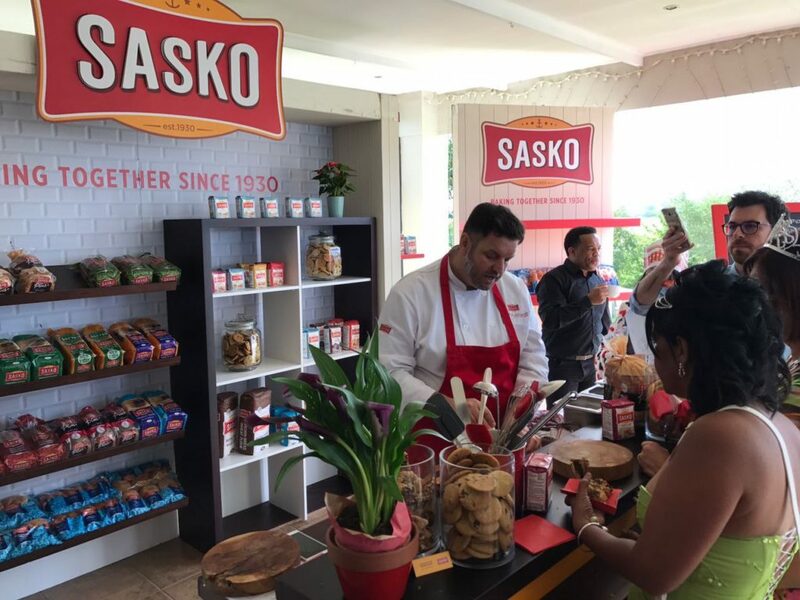 For one of our previous events with SASKO, as part of an experiential campaign, we were tasked with developing new recipes using both SASKO bread lines as well as SASKO Quick Treats lines. 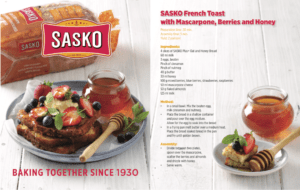 Source Food continues to develop new recipes using SASKO products to place into goodie bags for guests.